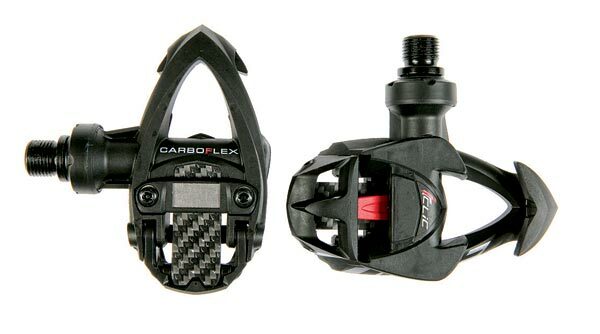 It’s taken us a long time to review the I-Clic pedals for a host of reasons. First off we were sent pre-production versions that weren’t rideable, then Time recalled the cleats as it became apparent they wore too fast. So it was a slow start. The rushed release isn’t a surprise as the concept is such a major step forwards and beats the Look carbon spring hands down, but the devil is in the detail. The use of a ‘switch’ to close the cleat is inspired as it should make for a far easier entry, yet in reality it does regularly get hung up, requiring two attempts to get it closed. We still think the wear of the cleat is too fast but it is in line with the opposition.